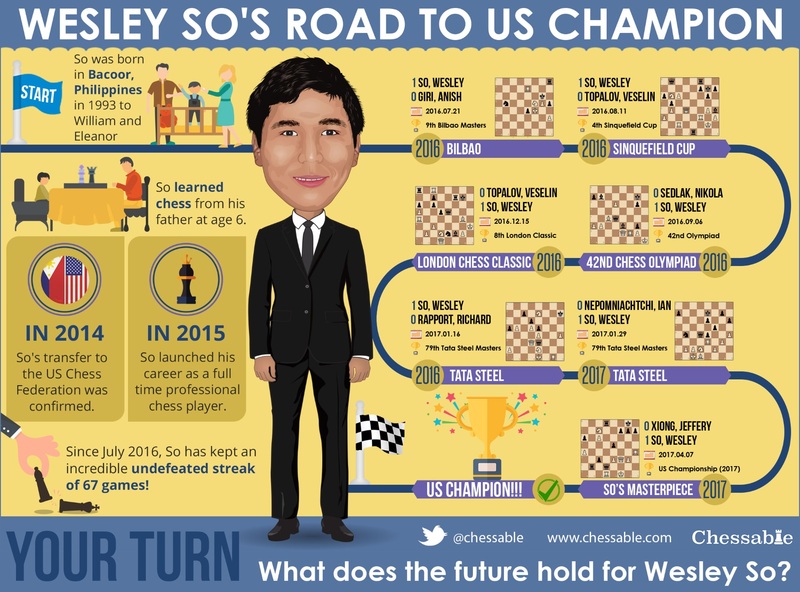 Wesley So’s Road To US Champion! Wesley So has just been crowned US champion. While fighting for the title, Wesley played a beautiful game vs. Jeffery Xiong. To celebrate this feat, IM JohnBartholomew’s Chessable has released an infographic of Wesley’s path to the championship.